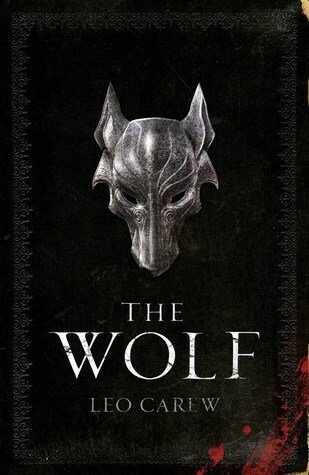 Thanks to Orbit/Hachette Book Group for my review copy of The Wolf. The Wolf is the debut work of Leo Carew, and the first of the Under the Northern Sky series. The Wolf is an interesting read from a military perspective – Carew does tremendous work narrating the field of pitched battle, captivating from one moment to the next. I personally enjoy character-driven fantasy, and much of The Wolf isn’t. Fans of historical fiction and battlefield tactics will enjoy The Wolf to the fullest. The Wolf opens with an enormous battle – The Black Legions of the Anakim, a race of mysterious, bone-plated warriors, pitched against the teeming armies of human Sutherners. The son of The Black Lord Kynortas, our main character Roper is new to battle and seeks to learn from his father. But after a cunning attack by the Suthern forces led by the upstart Bellamus, Roper finds himself suddenly in command of the thousands of Anakim legionaries. Having tasted victory for the first time, the Sutherners grow emboldened and sweep into the Anakim homeland. Defeated and disgraced in his first battle, Roper faces threats without and within, his supposed allies seeming more enemy than friend with the title of Black Lord at stake. The first quarter or so of The Wolf hooked me. Everyone loves an underdog, and I cheered for Roper to win through nearly insurmountable odds. Where the book falls flat is in the middle 50%. Unnecessary plots, several wooden characters, and stakes that mattered, then suddenly didn’t, bogged down the reading experience for me. Much of Roper’s character progression happens “offscreen”, with narration about him leading men or setting an example but very few actual scenes of him doing so. Some of the consequences of battle seemed inconsequential too – namely, how were the Sutherners able to lose so many men and never seem to run out? I also wanted to explore interesting parts of the story that weren’t addressed (like bone plating), but my hope is that they’ll be explained in future books. Even though I don’t think it’s for me, The Wolf is a solid book. If you love military reads and are a fan of historical fiction, The Wolf is right up your alley. If you’ve read The Wolf, keep an eye out for Book 2, The Spider, set to release April 18th, 2019 (UK). This one’s on my list. Hmm, despite some alarm bells (character progression happening off-screen? Nooooo) it does sound promising. I’m hoping to get to it sometime this summer!